Authentic learning is real life learning. It is a style of learning that encourages students to create a tangible, useful product to be shared with their world. Once an educator provides a motivational challenge, they nurture and provide the necessary criteria, planning, timelines, resources and support to accommodate student success. The teacher becomes a guide on the side or an event manager, a facilitator not a dictator. Processes become the predominant force and the content collected is organized appropriately into portfolios. 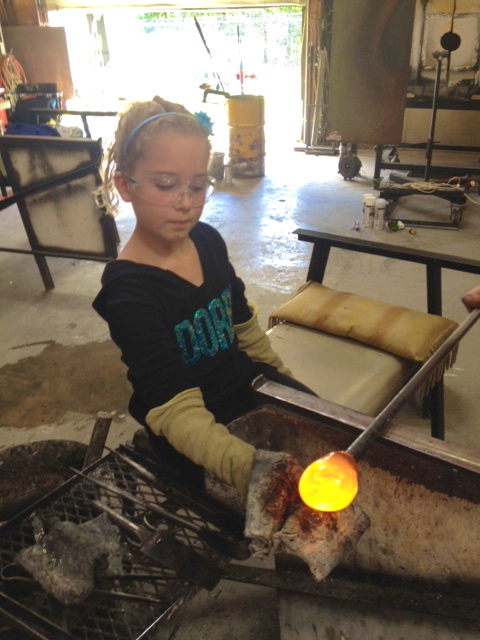 Authentic learning engages all the senses allowing students to create a meaningful, useful, shared outcome. They are real life tasks, or simulated tasks that provide the learner with opportunities to connect directly with the real world. 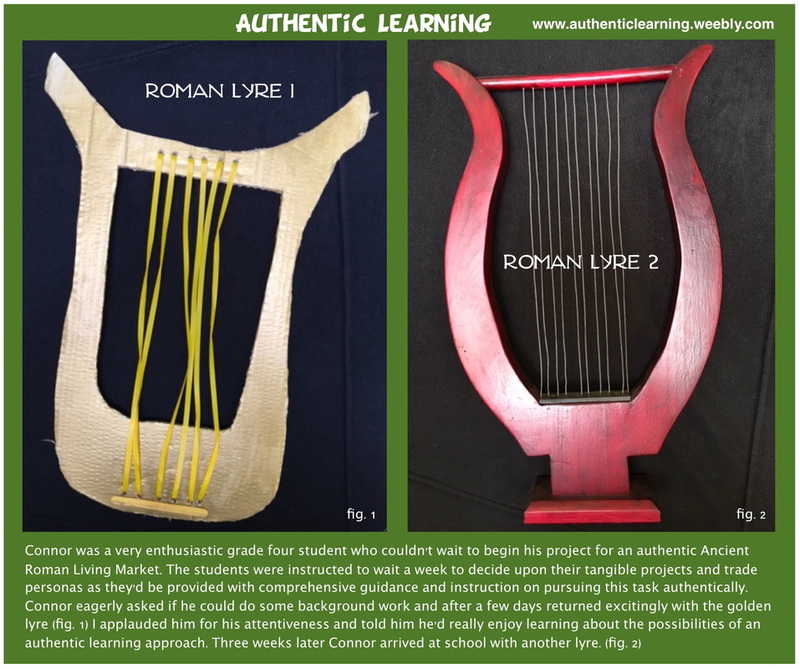 Instead of vicariously discussing topics and regurgitating information in a traditional industrial age modality, authentic learning provides a learner with support to achieve a tangible, useful product worth sharing with their community and their world. Our greatest short coming in education these past few years has been to ignore the brain research that is richly available to us that affirms that implementing multi-sensory activities, pursuing meaningful tasks, exploring a variety of skills with real world applications is optimal learning and that it needs to be practiced regularly. A student sitting at a desk, taking notes and regurgitating curriculum content uses approximately 3% of their brain's capacity. In general, students learn to sit quietly, respond in turn, follow instructions and complete tasks for the evaluation of a control teacher. This classic industrial age approach has been used since the mid 1870's to produce a work force to facilitate mass production lines that were to become prevalent in the next hundred years. That era ended in the 1980's if not before. If all we do is sit at a square table, with a square piece of paper, in a square room with departmentalized lessons and timetables, then what are our education systems really producing? Brain-based research shows that using all senses maximizes the learning experience. Interacting, manipulating, exploring, collaborating, discussing openly and sharing for meaningful reasons while having ample time to nurture a greater depth of reasoning and creativity is optimal learning. It's learning that sticks. It's learning with roots! 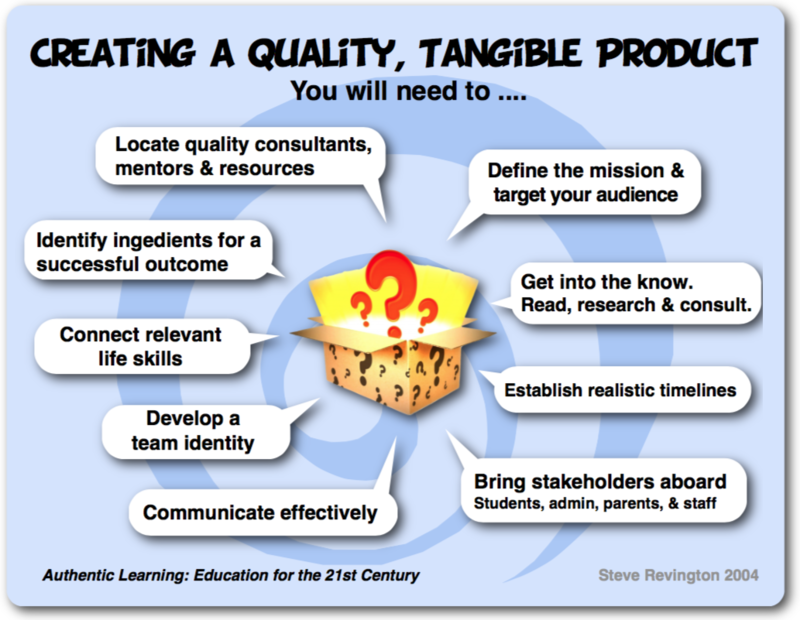 In an authentic learning model the emphasis is mainly on the quality of process and innovation. It's about allowing students to pursue individual learning opportunities that are unique to their interests, through real life processes. The emphasis isn't just about regurgitating content for a unit test, it's about developing a set of culminating skills sets, within a realistic timeline, using self-motivated inquiry methods to create a useful product to be shared with a specific audience. It's about engaging in activities that students care about and can be immersed in a meaningful, shared experience. More importantly, the learning journey that ensues is life changing as students are connected to the multi-sensory processes rather than the short term memory skills that a content driven curriculum demands. 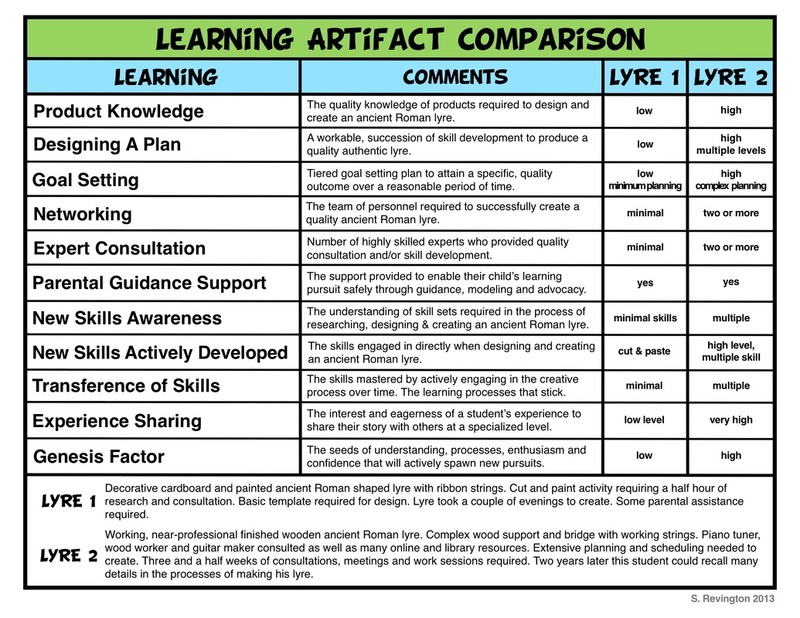 The content is important but when using an authentic learning approach content is recognized as it is properly intended to be - a portfolio of records, research, plans, lists, notes, reading, contacts, drafts and support information that will become the artifacts of the authentic journey. With the advent of the world wide web, content is readily available to everyone. We can reference, cross reference, research any topic at rapid speeds and do it at any time when it's relevant for us. We can access it through mobiles, tablets or computers as we access information as it is needed and when it is needed. Is it still relevant for a teacher to predominately dispense content to students, then evaluate the regurgitation of that content given as the main assessment of a person's learning ability? Authentic learning allows for students to demonstrate their skills through a series of unfolding learning processes with a definitive product that they can actually demonstrate. At no time in history has information (content) been so readily available to the masses, but it's the synergy and processes of engagement that defines our human experience. That's where the real value in education lies today. I believe that curricula must reflect a successful balance between learning processes and topical content? Remember, processes take time to learn but once they're consolidated they're intact for a long time. Processes require skill sets that are developmentally prioritized and require skilled instructors to transfer these skills. If you want students to engage in deeper thinking opportunities, then time becomes one of the most valued commodities. Are education systems willing to forgo the number of content expectations in their curricula in favour of embracing processes that require more time committment? With the recognition of STEM, STEAM, Maker education platforms in the past decade, it demonstrates a deeper appreciation and commitment to relevant processes. This is very promising! Good teachers are quick to point out that their curricula covers so many topics and expectations that there isn't enough time to cover everything appropriately. The more topics, the more content and the more time it takes to cover everything in the curriculum, and mathematically it just doesn't work. The rules dictate how the game is played, so to cover every expectation educational systems rely on the "here's the information" and "here's the test" mode of education. It's an efficient way to deliver content quickly so that all expectations are lawfully covered. It's an over used exercise in short term memory skills and cognitive cueing tricks, but its not a fulfilling, meaningful way to learn. Unless students are immersed in relevant, multi-sensory activities with specific, audience directed outcomes and culminating skills sets, then what students are learning is not sticking. The quality of research, subject knowledge, skill development, expert consultation, dedication and resourcefulness that goes into the making of a product is directly related to the quality outcome of that product. 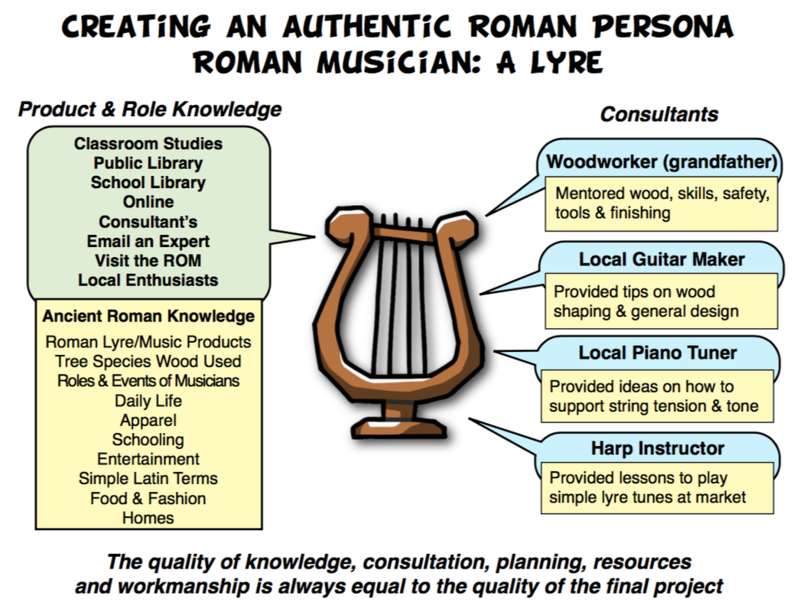 Is It Authentic Learning or Not? Remember, in true authentic learning an outcome designed to interact successfully with a community is the goal. When this happens a whole new layer of emotional, academic and skill set developments take place. There's a big difference between preparing a skit for some classmates verses a dramatic production for the public. There's a much larger personal investment required when a student becomes an ancient Egyptian tradesperson producing tools and wares, while working at a market stall to an interacting audience than holding up a Bristol board display and explaining ancient Egyptian information on it. Best of all, the student retains information from this type of multi-sensory, authentic learning experience longer because it's real, it's connected. Authentic learning is not project-based learning nor is it constructivism. These models of education were designed within the classroom context. 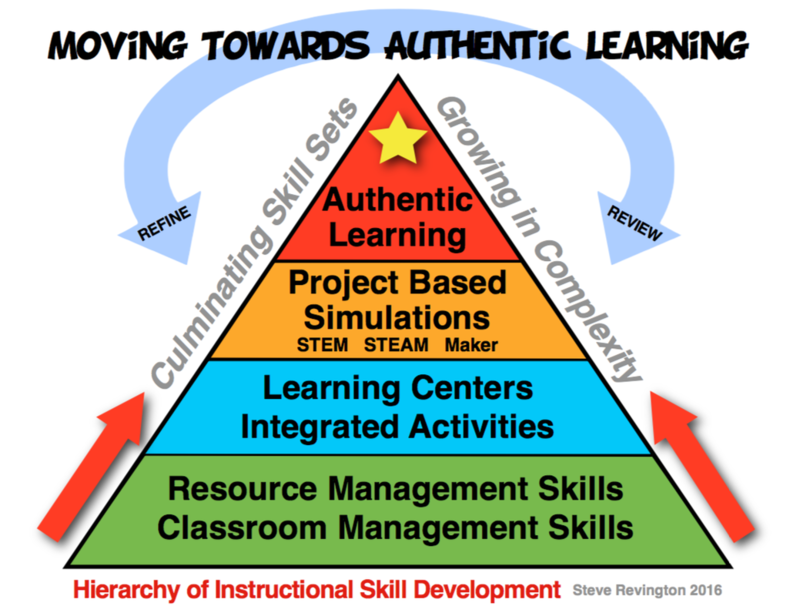 Although at times they stepped successfully into the world of authentic, and are extremely useful tools in moving closer to an authentic learning approach they are not authentic learning models. Authentic learning is intended to successfully interact with a community; by going out to interact with a community or the community coming into the student community to interact. That's why it's authentic! It's a quality outcome or product of significance that is intended for community consumption or betterment. Kudos to those teachers who provide project-based, simulation, game-based learning opportunities, Maker, STEM and STEAM. These are significant, engaging initiatives that provide the best kind of classroom learning and education systems need more of you. They are fantastic opportunities in providing working instruction and to model inquiry method, team work and sound skill development. What I'm encouraging is to take the next step. Consider a project to be developed for real world applications beyond the school walls. Not every time, but perhaps once in a school year attempt an authentic event. For those who have stepped into the realm of authentic you'll understand how this impacts everything. It will impact the initial discussions, the consultation, the refined skill sets, networking and the professional development a student and teacher requires. Authentic Learning initiatives require a complex set of skill sets. Educators need to master resource and class management skills first, then introduce more complex learning initiatives over time. Think about it. Every important, relevant thing a person requires to achieve a goal in life has a quality outcome or product attached to it. Pitching a business proposal requires an in depth presentation that reflects relevance, meaning and purpose. If it's backed by tangible proof, even better. 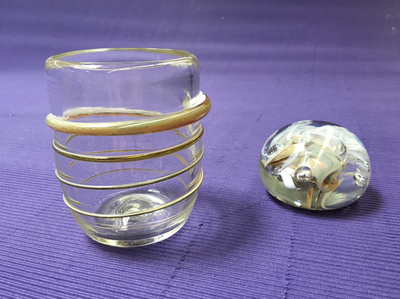 A prototype of a new invention requires a quality, tested, working device or apparatus to gain support in the marketing world. An environmental assessment requires extensive research and impact studies of connected, like-situations from around the ecological world. A grade five teacher once shared a wonderful collection of student written and recorded persuasive "Saving Energy" stories with me. They even designed CD covers in art lessons for their project. The work, learning and planning by teacher and student was tremendous. Upon being asked however, "What did you do with all that great work" she replied she'd listened to the CD in class and put the CD covers up on the bulletin board. This is a great example of integrated learning but it's not authentic learning. By planning beyond the classroom, a whole new level of understanding and relevant learning takes place. What if the CDs were intended for sale at the nearest mall? Now, an in depth degree of consultation needs to be pursued. Mall managers, local radio stations, graphic designers, bar codes for selling, copyrights local recording studios and marketing experts will need to be considered. That's the major leap an educator needs to take to enter the realm of authentic learning. What if the recordings were uploaded onto a website and promoted to leaders of energy conservation intended to be used to educate the surrounding community on "Energy Saving"? What about an "Energy Saving in Our Homes" campaign within your community? These are only suggestions but with a little brainstorming and with the right people, it wouldn't be long until a list of exciting possibilities could be created. Why are they exciting possibilities? Because they're real, relevant and worthy! One of the reasons I started to use the term "authentic learning" was that I recognized that the term "outcomes-based" education, William Spady's model which shared a number of characteristics, was being recognized mainly for it's outcome statements. His strategy of reforming an education system, built on students performing a hierarchy of skills was diluted down to the outcome statements. Again, it became more about the content than pursuing the meaningful journey of authentic education. It isn't hard to understand why this happened because that's how it would be perceived by policy makers who's successes were affirmed in a content driven system. Authentic learning is not another edu-trend or buzz word. It is real life - real world education and when appropriately implemented it can provide optimal learning opportunities for all students. 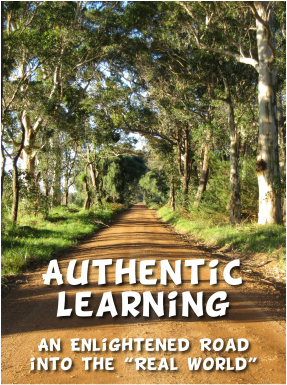 I have noticed that some educators are misrepresenting the term "authentic" to qualify their student's learning. If learning is engaged solely in classroom settings, inferencing only real world examples, it's vicarious learning, - it's not authentic learning. Authentic learning is relevant learning activated in a real world context. ​If you've ever started up a business or an organization, you'll have a much better understanding of the enormous work and planning an authentic learning event requires. As in real life - these initiatives take an enormous amount of time, dedication, consulting, flexibility, networking, research and communication to launch. Yes, to launch! Once the launch has been initiated, then the real work starts. As guide on the side, or project manager you're now having to coordinate, educate, coach, consult and communicate with your students and parents in shaping their successful roles while pursuing the larger goal of your signature event. As well, you're going to require some additional professional development in connected to the authentic initiative. A signature event occurs when your student outcomes and the main team event focus merge. For example; if your high school senior classes planned to have a Solar Car Race Derby at a nearby speed track, the solar cars would need to be designed, constructed, tested and tuned-up for race day by students. As well, students are expected to collaborate on developing the Solar Derby Day's organization and preparation. The more participation in the design, the more ownership students have in the authentic event. By providing students with the opportunity to have input to all levels - allows for the transformation of learning at all levels. If there are rules involved, then students need to be part of the derby rules development, refinement and approval. Students will have a better grasp of the race rules and they'll also respect all aspects of the authentic event when they are connected, whole heartedly to the complete journey. This style of learning is labour intensive and time consuming but it is the most worthwhile education you can provide students. Once you've implemented an authentic event, or simulation, the impact you'll witness on student development is remarkable. 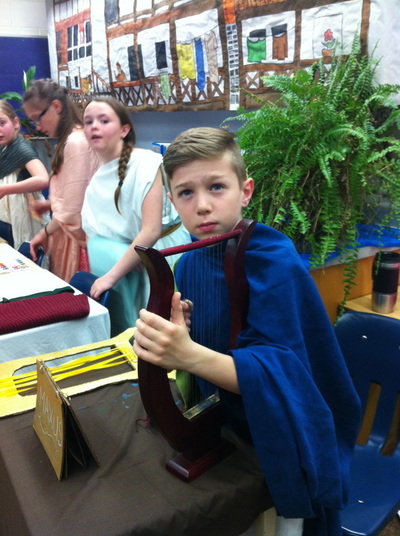 The great thing about authentic learning is it's a setting that allows for student's uniqueness to be highlighted. Whether it's a specific skill, academic or a social/behaviour issue, an authentic setting, appropriately implemented, provides a very rich personal growth setting. This new, authentic learning approach, however, requires another breed of educator. An academic as well as a life skilled, co-creator. A real, "life" long learner with skill sets and experiences that can facilitate a creative, diverse, well structured, team-based, open-ended, criteria based and globally directed education program. 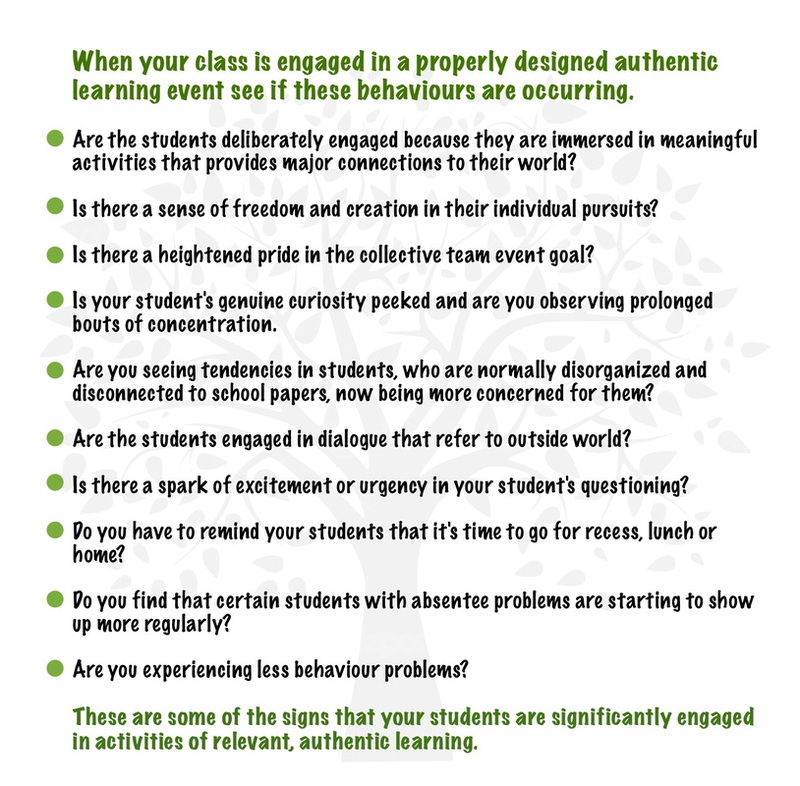 Ask yourself if you're on the way down the enlightened authentic learning road? Are you working towards sharing a tangible product beyond the class or bringing the world into your schools either electronically or for real? The authentic experiences you provide your students is also the beginning of an unforgettable learning journey in your life. It's All in the "Doing"
Talia is a medieval tailor at an authentic learning event. I had just completed an authentic event, a Medieval Market Living Museum one April evening. It was the culmination of one and half months of preparation as the students demonstrated their personas (roles) as medieval trades people in medieval Coventry, UK. 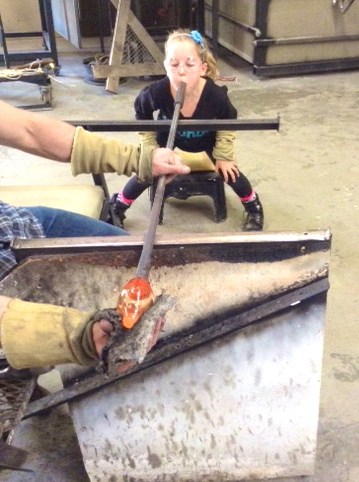 The students worked diligently away at their trades during this open house, all academic levels to their potential. 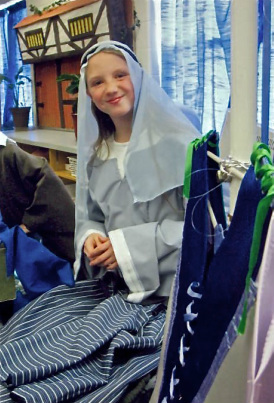 Their goal was to create an authentic medieval trade persona, an authentic costume that reflected their trade role, an authentic working trade tool or product and a market stall to share their wares. The room was decorated with beautiful tapestries, murals, personalized heraldry banners and a large book display of the student's collective work/activity sheets carefully spiral bound. In authentic learning paper collections are referred to as portfolios. These portfolios were carefully done and included an extensive variety of curriculum content and authentic learning preparation sheets. Spelling, creative writing, math, art, drama, technology, problem solving and reading comprehension work sheets were all included. Nearly five hundred visitors came through our themed room and only about ten people even looked through the spiraled bound unit booklets. They were clearly displayed, beautifully presented and featured eye pleasing, colorful covers. Visitors were far more interested in interacting with the trades people, hearing their stories, watching them work, than reading the notes that helped them attain their goal. Really, it is this kind of instance that affirms the reality that content and paper curriculum isn't as important as we believe them to be. It's important, and it certainly has its place, but the applied knowledge is far more important. The doing consolidates all the learning that went into the event. ​Somewhere along the continuum of learning development the jot notes became more important than the tangible, meaningful applications of the education purpose itself. In the end, it's the applied demonstration that counts. "It's all in the doing". Is it realistic to think that authentic learning of this nature can be done, ongoing, throughout the school year? Of course it can and there are school's that engage in authentic approaches already. Maybe one day authentic learning may be the motis operandum of the majority of schools, but realistically not yet. With the current school classroom structures, resources, timetabling, standardized test demands, physical classroom limitations, administration directives and the plethora of curriculum expectations as they are, it's difficult to do. If, however, an educator can attempt one or two authentic learning events in a school year then that's a fantastic start. At year's end you and your students won't regret it and it won't be long until you're looking forward to starting your next. There are different degrees of authentic learning events from simulations shared with your community to complete, real world integrations. Start small, then develop your authentic learning undertakings over the years to come. Let other educators, parents and community members observe your authentic learning events. Remember, a well implemented authentic unit/event is the best kind of promotion for this rich style of learning.